This is the fifth entry of a series in which I recount the record of my discovery and initial attempts at solitaire role-playing, but with modifications as seen through the lens of hindsight. I hope it will serve as a good introduction to anyone who is new to this concept. There’s also a Chapter 1, Chapters 2 & 3, Chapters 4 & 5, and Chapter 6, Part I that complements this entry. 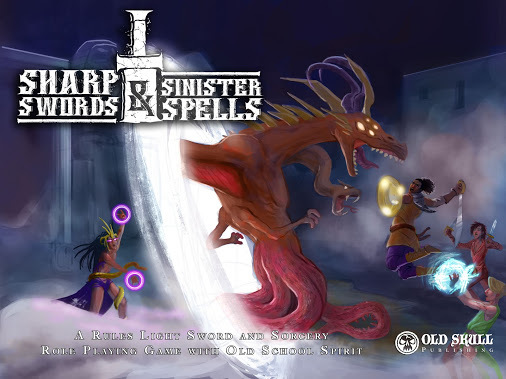 I’ll be using an old-school-inspired “sword & sorcery” game called Sharp Swords and Sinister Spells (Pay What You Want) for my final solo play in this series. As talked about last time, we’ll also be stepping up to the Mythic Game Master Emulator — the “gold standard” of solo engines. Chapter 6 will be broken up into 3 parts: Mythic GME overview, SS&SS overview, and an Actual Play example putting the two together. If you’re only interested in the action, you can jump over to the actual play. If you don’t know what solo role-playing is, you may want to start with Chapter 1, which gives an introduction to the concept, and work your way up to this one (hopefully playing along with your own solo game!). What on Earth is OSR, Anyway? The first D&D Basic Set, the successor to the original D&D “3 booklets”. Click for more info. I seem to be drawn to the “OSR” — Old School Renaissance/Revival — games. 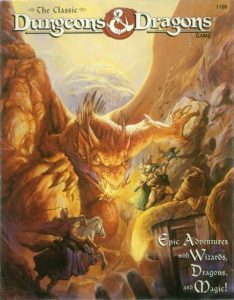 If you aren’t familiar with the OSR concept, it’s basically a resurgence in popularity of games with similar rules and flavor to those from the early role-playing roots in the 70s and 80s, many of which are based directly on specific versions of Dungeons & Dragons from this era. Also termed retroclones, you’ll often see references to years (ie. Microlite74, Microlite81), authors/editors (Mentzer vs Moldvay), and cryptic terminology like “B/X” and “BECMI”. Don’t let all this stand in your way of trying out any of these games that sound interesting, but just know they have their roots in early D&D and their die-hard followers. I’m still figuring all this stuff out myself, and hope to share my findings in a future post which will shed some light on it all, but as of now I can’t say that I have much ground to stand on in explaining OSR, debating what constitutes OSR versus OSR-inspired, or engage in scholarly debates about which version of D&D was the best, what was “wrong” with it, and which OSR game “fixes” it. At best, I can remember reading about OSRIC many years ago, thinking it was cool, bookmarking it for “later” with no intention or means to actually play RPGs at the time (before I discovered solitaire play, of course), and that’s about it. So, for now at least, I won’t get too much into all of that (it can be a touchy subject for some people — so forgive my ambiguities and ignorance on OSR, if you will). I’m not quite sure why I feel drawn to OSR, as I wasn’t yet on the planet for the introduction of these games of yore (since you asked), much less old enough to play. 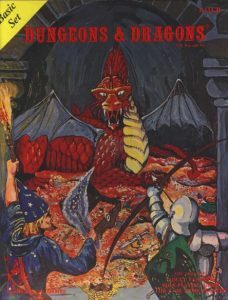 My earliest experiences with RPGs were in the mid-90s, with The Classic Dungeons & Dragons Game boxed set from 1994, which is apparently the seventeenth incarnation of the Basic Set from 1977 (which, in turn, was the follow-up for the Original D&D “3 booklets”: Men &Magic, Monsters & Treasure, Underworld & Wilderness Adventures). I do have a bit of nostalgia about that 1994 set, though, and perhaps that’s where the desire to delve into the old-school rules stems from — just that feeling of nostalgia, reliving the days of old, when things were better, simpler, more grand. At least, that’s how we remember things — or imagine things we can’t remember — when we have those sorts of notions of yesteryear. 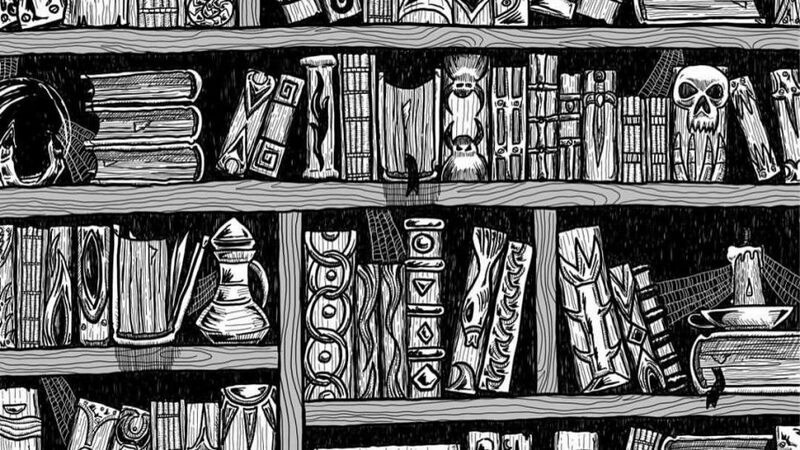 Remembering all the awe and wonder at our discovery of the infinite possibilities of what role-playing games can be and what we can create — it’s a powerful thing. The Classic Dungeons & Dragons Game boxed set from 1994, which appears to be the 17th version of the “Basic Set”. Click for more info. For these reasons, and many more, I stumbled over which OSR style game I wanted to start with. 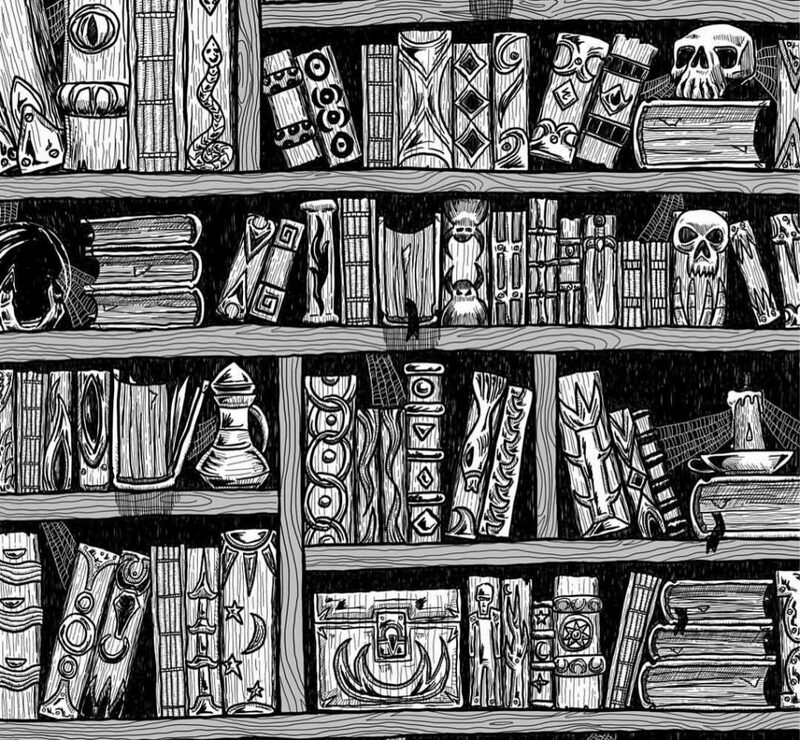 I’m sure you have or will find yourself in this position as well — there’s just so many choices out there for games, OSR or otherwise, many of which are free, and it can be a task just to stop going through the ranks and pick a game! I’ve had my interest piqued by Palladium, a 1983 competitor of D&D (so, not technically OSR? ), for a time, thanks to a recommendation by Artichoke Dip’s solitaire YouTube channel, I jumped on the Bundle of Holding they held a few weeks back that included the 1st Edition/Revised rules (there was an update to a 2nd Edition in 1996 that brought it in line with the publisher’s “Megaversal System”, which includes the popular Rifts RPG). The rules are rather complex, though, at least what I’ve seen so far (the character sheets themselves are overwhelming), and there’s a ton of source material to go along with them, so I’ve put that off til I have more time to dig deeper into that hole. I’ve also still got that musty old 1994 boxed set of D&D, but it sounds like it’s not a far cry from the current D&D 5e version of the rules (which are also free), so I’ll hold off on that for now, too. Dungeon Crawl Classics is another OSR-inspired game with d20 System mechanics that has also caught my attention, which might provide both the nostalgic “feel” while simultaneously learning a modern, widely-used set of mechanics. And I’ve still got that Castle Ravenloft boxed set I bought a month or so ago, which I’ve still not yet played! Right… *ahem*… as I said, sometimes you just have to pick a game and go with it. What I settled on, though, is Sharp Swords & Sinister Spells, a fairly recent game that other, more knowledgeable folks have deemed “old-school inspired” and “sword & sorcery turned up to 11“. It’s light on the rules, though slightly more involved than the Hero Kids game I’ve been playing with so far, so I think it’s a good, logical next step in complexity while still giving me that OSR feel [I think?] I’ve been craving. It’s also got a lot going for it in terms of solo play thanks to the inclusion of a number of generators for character “complications”, adventure seeds, and even more in the newly-released Addendum (also PWYW): adventure titles, random life events, “what has changed since we left?”, “where did my gold go?” (I ask myself this question in real life at the end of every pay period), an extensive monster generator, and more. Plus, I’ve chatted briefly with the game’s author, Diogo Nogueira , and he hinted that he already has some ideas for solo play in the works, perhaps appearing in his next book with a focus on setting and more random generators for events, organizations, etc. So, keep your eyes peeled for that (and check the end of this post)! 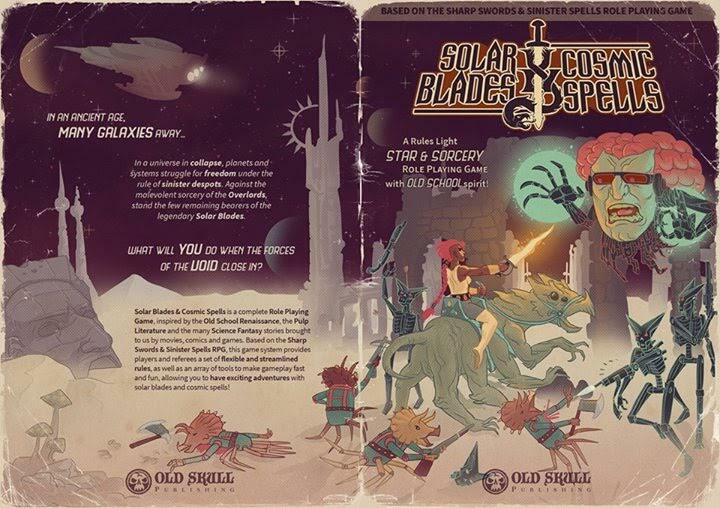 Cover art for Sharp Swords & Sinister Spells core rules. I didn’t really take a reviewer’s point of view in reading through the rules, but one thing I really liked about the publication is the “weird fantasy” pen & ink artwork, much of which by the author himself, which has an almost occult feel to it (and we all know D&D was “forbidden” by a lot of parents for this reason). It lends credence to it’s claims among the ranks of OSR games. It’s very well laid out and my only real complaint was probably more personal preference, but I would’ve liked to have seen the spell list as an appendix, or perhaps placed earlier in the book near character creation, rather than in the midst of the rules for turns, attacking, and opponents. Minor gripe, of course, and it is logically placed in the Spellcasting section, so perhaps you’ll appreciate that, instead (or maybe I would’ve if I’d played a magic user). Just reading through the rules tickled my fancy in more ways than one. The thought of playing a magic user is downright frightening due to the potentially dire consequences of spell failure — and the more powerful the spell, the more spectacularly catastrophic the failure. The movement rules are “approximate” (close, nearby, far, distant), so there’s no need for counting out grid squares, which lends itself very well to the “theater of the mind” play-style many solo role-players adopt, but you could easily apply some standard grid movement rules if you so choose. Characters come in three different archetypes — Warrior, Specialist, and Magic User — which you can add more flavor to with a “Vocation” of your own creation. 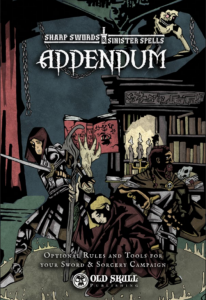 The Addendum has a plethora of optional rules and tools — it’s actually about 50% longer than the core rules — many of which you might find useful for solo play or just downright fun and interesting. I only specifically borrowed the “quick equipment” rule from the Addendum, which provides your character a generous starter set of weapons, armor, supplies, and gold without having to go to the trouble of rolling for coin and making the purchases yourself (or if you’re me, wondering if you’re screwing up by not buying more torches). SS&SS (that’s a lot of esseses) has a core mechanic of rolling a d20 within an Attribute score for player characters, while for your GM/opponent rolls you’ll aim to go above the target character’s Attribute or roll result. There’s also the concept of Positive and Negative Dice, which grant you additional dice for a roll in which you choose the better or worse result, respectively. Roll didn’t turn out in your favor? Push the Roll, explaining how the PC is giving extra effort, and try again — but with more serious consequences. You’ll also see the concept of “upgrading” and “downgrading” dice in certain circumstances, where you use the next-highest or lowest die in the standard adventure dice “sequence” from d20 down to d3 (d6 roll, halved and rounded up). 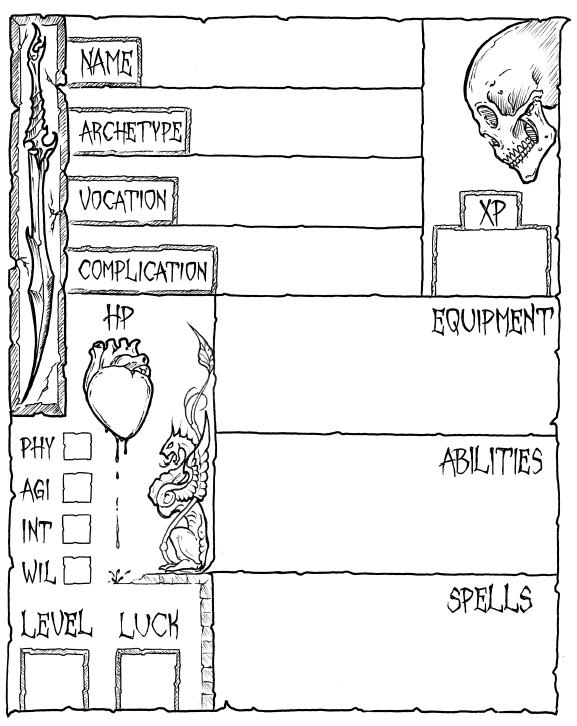 Character Attributes are a typical 3d6 roll for Physique, Agility, Intellect, and Willpower. You’ll need to hit the two Prime Requisite attribute values for your Archetype which defines a Hit Die for determining hit points and initiative, Luck Die for luck rolls (1 or 2 is a failure), and your character’s special abilities. To make your character unique, define her Vocation (Positive Die on relevant rolls) and a a Complication (make your own, or roll from a table) that can make her life harder. Invoke your Complication for an upgraded Luck Die roll, but not without accepting its consequences (now or later, whichever makes sense in the context of the adventure). All opponents use a d8 Hit Die and their difficulty comes in how many hit dice (you’ll need to consult a chart for their damage die) and their special abilities. Melee combat occurs at “close” range, d20 within your Physique score, while ranged combat is within your Agility score — close and distant rolls incur a Negative Die. Spellcasting is a Willpower check influenced by your chosen Power Level (difficulty) of the spell. If you fail, you can’t cast the spell again that day, or you can choose to have it succeed and accept a complication from its effects — but beware the potentially catastrophic consequences of failure, not only to yourself, but to everyone around you! The SS&SS Addendum adds some interesting optional rules, a monster generator, and more fabulous artwork. Damage is dealt depending on your weapon or spell, with devastating Critical Hits if you roll your exact ability score, or costly Fumbles on a 20. Attributes can also be damaged in certain cases. Saving Throws can make or break your day, there’s no magical means of healing (mostly via “short” 1d4 HP rests between action or “long” 1 Hit Die recovery in a safe haven), and if you do happen to reach 0 hit points, a Luck Roll can save you if help arrives within the hour (but not without its consequences, either). If you survive your first two adventures, you can level up with an additional Hit Die and increased Attributes. The good news for soloers? You can roll a d6 every half hour, with a 1 or 2 generating a random encounter, and the best part of all: Appendix A is an adventure generator! Again, you’ll find even more generators in the Addendum to add interest and flair to your adventures, but I use this one simple tool to kick off my actual play in Part III. Character creation is quick and straightforward: 3d6 for each Attribute in the order they appear, choose an Archetype, Vocation, and Complication, then buy equipment. I ended up with a Warrior, who I determine is an aging Sell-Sword named Vincent (who actually has a back story from a novella-length “fan fiction” I wrote many a year ago, which could come to light). You can create your own Complication, but I use the 2d6 table in the rule book and roll one up: [4,6] Debt to Crime Lord. Great. I’ve already got the Thieves Guild on my back! The “quick equipment” rules from the Addendum provide me with a Longsword (d6 damage), Short Bow, Medium Armor, Medium Shield, some packs, and 11 silver. They gain additional attacks through Combat Superiority by taking the highest Hit Die of their opponents in an encounter and subtract that from their level to get the number of additional attacks — this basically means no additional attacks at level 1. Improved Damage steps their weapon damage up to the next die in the chain. For Vincent’s d6 Longsword, he will deal d8 damage. Chose a Weapon Specialization at character creation and gain a Positive Die when using that type of weapon. Vincent, of course, chose the sword. Improved Maneuvers means Warriors can choose a maneuver to complement their attack (other Archetypes can use a maneuver only in place of an attack). This includes disarming, tripping, pushing, and the like. Opponents can “resist” if they beat the Warrior’s d20 attack roll. That’s all probably more than you’ll need to know about SS&SS to follow along with Part III, the final installment of the series. I’ll use the adventure generator from Appendix A to send Vincent off into the unknown, in a plot shaped by the Mythic Game Master Emulator! Solar Swords and Cosmic Spells is in the works for lovers of Science Fantasy. Lastly, I came across a variant of the SS&SS character sheet by Mike Janvrin over at the Sharp Swords & Sinister Spells community. Mike was kind enough to allow me to share his work here, free for your enjoyment. Thanks Mike! I took the liberty of converting it to a PDF, which you can download by clicking the image below. Click here to download Mike’s SS&SS character sheet as a PDF. See you soon for Part III and the conclusion of the Rolling Solo series.